This is the fateful week in which the Trump administration has to decide on what to do with the Iran nuclear deal. All signs point to him attempting to terminate the agreement. The return of sanctions could knock off as much as 400,000 to 500,000 bpd from Iranian supply, a huge volume that would put the oil market in danger of a shortage. There is still a chance that the Trump administration takes a more nuanced approach – not killing the deal in its entirety but taking a harder line with Iran. It’s unclear what that might look like in practice, but with the oil market already pricing in some sort of re-implementation of sanctions, anything that stops short of that could be met with a selloff. “In our view President Trump’s decision on the waiver looks likely to be both the largest upside and downside risk to oil prices over the next 11 days,” Standard Chartered wrote in a note last week. However, a softer line seems unlikely at this point. The oil market is already in a bit of a supply/demand deficit. According to the IEA, oil inventories fell by 26 million barrels in February, a larger-than-expected decline. That put total stocks just 30 million barrels above the five-year average, which means that we are close to arriving at OPEC’s long-sought goal of achieving “balance” in the market. “Our balances show that if OPEC production were constant this year, and if our outlooks for non-OPEC production and oil demand remain unchanged, in 2Q18-4Q18 global stocks could draw by about 0.6 mb/d,” the IEA wrote in its April Oil Market Report. “With markets expected to tighten, it is possible that when we publish OECD stocks data in the next month or two they will have reached or even fallen below the five-year average target.” Related: Is This The Perfect Battery? In the context of the potential outages from Iran, it is worth emphasizing that April conclusion from the IEA. 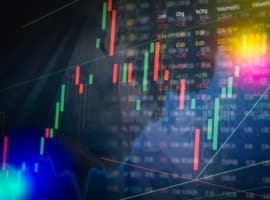 The agency expects inventories to decline at a rate of 0.6 million barrels per day, which is to say, the market is already in a supply deficit, which will continue to drain stocks. And that calculation comes before any potential outage from Iran. 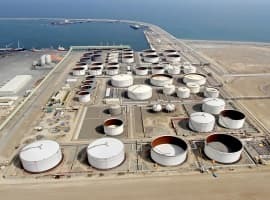 The loss of a few hundred thousand barrels per day from Iran would make that deficit larger, leading to an even faster rate of decline from global inventories. Adding to those worries are the supply disruptions in Venezuela. The oil market is likely already pricing in large supply losses from the South American OPEC member, with most analysts forecasting declines on the order of several hundred thousand barrels per day by the end of this year. Production is already down to about 1.4-1.5 million barrels per day, or about 600,000-700,000 bpd lower than 2016 levels. Output could dip close to 1 mb/d by the end of the year, although the risk to that estimate is on the downside. There are a series of potential disasters facing Venezuela that could accelerate declines. A full-blown debt default, U.S. sanctions, and asset seizures from creditors are three dire scenarios, that at this point, actually look pretty likely. U.S. Vice President Mike Pence unveiled new sanctions on Venezuela on Monday, ahead of the May 20 presidential election. Most analysts expect the Trump administration to hold off on the more draconian measures until after the sham vote in two weeks. 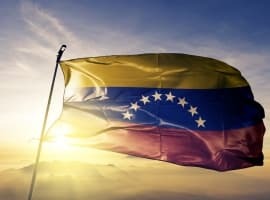 At the time of this writing, the implications of the potential asset seizures are unknown, but the facilities are vital for Venezuela as they play key roles in processing, storing and blending PDVSA’s heavy oil. “This is terrible (for PDVSA),” a source familiar with the court order of attachment told Reuters. PDVSA “cannot comply with all the committed volume for exports,” the source said, noting that a significant chunk of exports could be in jeopardy. The more missed debt payments pile up, the more likely that creditors will begin scrambling to seize assets. Venezuela’s oil production and exports are already falling at a rapid rate, but the losses could accelerate because of creditor actions. This week is shaping up to be a pivotal one for the oil market, with the potential for renewed sanctions on Iran. Meanwhile, Venezuela’s oil production was already declining and fragile, but a darker reality is beginning to unfold. These events, occurring against a backdrop of a tighter oil market, point to higher prices over the next few weeks. I thought the USA is now the largest oil producer and we are exporting. I smell a price gouge by the oil companies! Don't forget about IPO, SA. Most annalists estimate that if US reimposes sanctions on Iran that the market would see a reduction of 400k to 1 million barrels a day . . . . . .
Whit's the basis for this conjecture? Iran is now exporting roughly one million barrels of oil a day more than they were when the sanctions were in full force. Europeans have already announced that they are staying in the deal, thus no sanctions, and China is the largest single importer of the Iranian oil. The question is: If the US reinstates the sanctions, who will say NO to the Iranian oil . . . .??? I dare say that the crafty Persians will sell as much oil as they can pump, regardless of US sanctions, or perhaps because of them, just to spite, and take advantage the speculators' histrionics pushing up the price. Well with the announcement that the U.S. Government is for overthrowing Iran's government $70 is super cheap. The only way to win wars in the middle East is to blow up your opponents oil first. The target is Saudi Oil. Crude Oil - Are You Ready For Triple-Digit Oil Prices? We are in a boom-bust cycle, with no end in sight, rather than a 'new oil order', and shale oil will contribute to, not dampen it. Inventory levels are balanced today and forecast to remain so in 2018, supporting Brent spot prices at levels of $60 Brent a barrel or more. Barring a global economic recession in this decade, we are in the early innings of new, demand-led bull market. And for all the talk of EVs, oil demand is soaring. First, what the EIA calls "Crude oil" is actually Crude + Condensate (C+C). In my opinion, crude oil prices are going up because actual global crude oil production (generally defined as crude oil with an API gravity of 45 or less) has been approximately flat to down since 2005, and because Global Net Exports of oil (GNE, total petroleum liquids in this case) have been down since 2005, with the Chindia region consuming an increasing share of GNE. I estimate that the volume of GNE available to importers other than China & India fell from about 40 million bpd in 2005 to about 33 million bpd in 2016. Jeffery Brown. High oil equals deaf economy. If oil returns to triple digits, the market will crash and electric cars and hybrids will dominate. Basic economics don't change on greed. The press is already writing about oil prices and big companies have blinked. Your greed doesn't drive the market. Jack oil, watch the screeching halt. When oil crashed the economy took off. Laugh me all you want, i am correct. Hugh oil is an economy kilker,, always has been, always will be. "Higher oil prices are critical to restoring balance in capital markets, that is, restoring an equity risk premium that has been non-existent for 10 years." $100 oil will be met with 3.5% overnight rates and climbing, along with your passbook savings account paying 3% and paycheck and likely 401k, all higher. The breaking point could be 3x the current price of oil and EVs are economic and environmental fabrication that will never even be widely adopted in their current technological format, even with $180 crude oil. There is a strong case for the underperformance of equities and bonds vs. commodities in this environment, although the jury is still out for how long the equity risk premium is unchecked in the context of the profit cycle coinciding with higher oil prices and higher interest rates. The lower for longer oil prices will lead to a supply shortage like not seen before. Trillions of investment was either deferred or canceled and prices will assuredly rise above the historic high price. The willingness of producers to ramp up production as prices rise to levels where they can generate cash flow and pay their debts is low. The US is the low cost, most efficient, cleanest producer of crude oil and natural gas and coal in the world for the foreseeable future. While an oil price shock gone wild would be catastrophic for the global economy, recognize that the likelihood we experience a shock is increasing for as long as the price of oil is below $100.